“Sitting alone with many friends who have lost their fight in the ACS “Catt Gable” Memorial Garden, I had a chance to reflect on the many things that give me reason to relay and why it is important to me. Our team is very special and a very global team in relay. We are all very close. One event that draws all of us together is Fantasy Faire. The magic of the Fairelands affects each and every one of us. Some come as DJs, performers, others as merchants, sponsors, builders, sheriffs, Jailbirds, bloggers, shoppers and photographers. Speaking for all of us, Fantasy Faire brings together our rules: smile, have fun and do pawsum things. 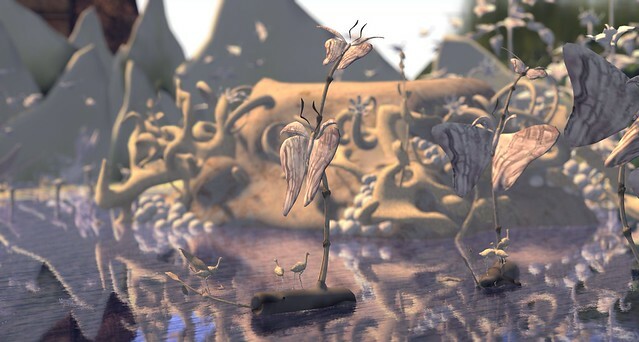 Our motto is “Whatever is rightly done, however humble, is noble.” The Magic of the Fairelands brings that together for all of us, no matter how we present ourselves in this wonderful world of Second Life. Also on Kakushi Pasu is another important part of that sim related to Relay For Life. The Mission Info Area created by Ms. Kitty Gumbo is very special. We have used the mission statement for the American Cancer Society in all of our thank yous for any and all contributions. “Fantasy Faire thanks you so much for your generous donation to Relay For Life. The American Cancer Society’s mission is to save lives, celebrate lives, and lead the fight for a world without cancer.” I believe in this mission and have used the ACS website for information on many occasions: www.cancer.org. On a more personal level, my father had laryngeal cancer. He was treated with radiation and the cancer was gone. However, the remnants of the treatment caused a hardening and thickening of the carotid arteries. He was on blood thinners which left him very bruised. One day, I got that call, he had fallen. I left as quickly as possible – to be with my mother and brothers. He passed within 42 hours. He was a survivor but my mother was alone for the first time in over 62 years. Several things interfered as they do with every family and their struggles. I live three hours away from my hometown. Every week for 7 years, I made a trip to do all the grocery shopping, laundry, dr. visits, and during hospital stays and her eventual diagnosis of cancer, I would stay full time for weeks sometimes months. She had a rare form of blood cancer that was taken care of with 8 chemo trips. Cassie and I stayed in touch through Second Life. At night, we were able to dance, build, and relay together. My mother recently passed in November of 2016 as a survivor at age 90. On Monday, May 1st, Fantasy Faire 2017 will hold one last, very special event at Opal Flight. From 1 to 7 pm, the Fairelands will celebrate the One Team Spirit of the Relay For Life of Second Life by inviting six fantastic RFL Teams to come and Relay with us. Join us as we open our gates, our arms and our hearts to these Relayers. They will bring their own team’s donation kiosks, and we will help them to reach closer towards their goals. Fantasy Faire Radio will be there, of course! The afternoon will begin with Elrik Merlin, who will spin from 1pm to 3pm. David Abbot takes the helm from 3pm to 5pm. And Zander Greene will round out the night, from 5pm to 7pm. Join us for a day of fun, and fellowship as we say farewell to the Fairelands for another year. And help us share the magic of the Faire with these brave and noble Relay Teams. One World. One Vision. One Team. Together, we are The Cure! The memorial in Chaddul Ro by Searlait Nitschke – picture by Alisaundra Andel. Searlait Nitschke, the world builder of Chaddul Ro, shared with us her inspiration and reasons for building this Faireland. It was inspired by and dedicated to Caregivers and Survivors, for the weary and for the beacons in their lives. “The concept was that this tribe of orcs has outposts sprinkled along their borders and only the bravest most dedicated of their warriors are given the honor of serving there. Their task is twofold… simple yet not. One to keep the beacon that each outpost has lit… never doused a fire to burn brightly from the tallest tower. The reason… to show those that need a way through the night a light to come home to, as well as the assurance that as long as those fires burn brightly their tribe is strong. That the tribe has weathered whatever may come and will survive. Orcs who have been lost, are bleeding from battle, or weary from being displaced can find a beacon… to come home because let’s face it. Everyone pretty much has it out for Orcs. So that is the second task… to welcome the weary, wayward and sometimes even the enemy of the Orc to give them respite… tasked to care for their tribe and families. The Orcs fiercely protect these outposts and celebrate within it; the rugged home is also full of life for those who need its shelter and for the warriors who never stop fighting. So the sim… initially was for caretakers and survivors. For the survivors who can sometimes feel so weary to have a place that gives them strength and for the caretakers who have to be so strong in the face of this disease, in the daily tasks that they take on willingly, willfully placing others first from family to friends to ease them as they suffer or need that bit of extra strength to make it through the day. The Fairelands feature two special locations this year, both in Kakushi Pasu. One is the Mission Outpost, and the other an outpost for the Caregivers and Survivors. 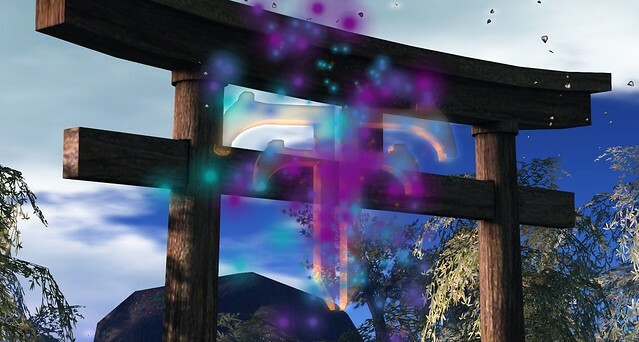 Fairelands will stay connected to our realm until May 4th, please feel free to visit them. Since the beginning of time, The Spirit Pool has served as a resting place for weary adventurers and lingering souls that are not quite yet ready to cut their ties to the physical realm. Mermaids and other seafolk use the pool for gatherings and a constant flow of visitors keep it a popular place for trading. Please note: you do not need to use any of these ideas; feel free to write about anything in this region. Do souls really linger here, or is it a myth to cull the gullible? What creatures roam these endless halls? What feeds the yellow vines? What lives in the mysterious cavern? Participants are invited to submit pieces written as part of LitFest Tours, or inspired by the Faire Lands, to be included in “Tales from the Fairelands” on the Fantasy Faire website and possibly to be read on Fantasy Faire Radio by yourself or one of our volunteers. Work may be submitted at any time during the Faire, and we recommend that it be submitted by 11pm the day after each destination cycle has been completed in order to be considered for inclusion in “Tales of the Faire Lands” posts while the Faire is open. Individual writers retain creative ownership of works submitted. Is the current shrine built on the remnants of an earlier city that housed the Spirit Pool? In the elections for King, Queen and Chancellor of Fantasy, things are starting to heat up, with the competition tightening particularly in the race to be Queen. As I write this, a mere FIVE Lindens (oops, I mean votes) stands between Princess Leia Organa and Margo Hanson. And in the race for Chancellor, Rhiow the cat is being hotly pursued by Hedwig the owl and, a late starter, the White Rabbit. We’re expecting some fur and feathers to fly there! Willie Wonka still holds onto his lead in the race for King but Severus Snape (who many of you may remember was pipped at the post last year by The Goblin King) is starting to put in a strong showing. Who will win? Only YOU and your Lindens (I mean votes!) can decide. We are quite open about this – at Fantasy Faire you BUY votes to ensure your favourites are chosen. The difference in our election is that all the money raised goes to Relay for Life! Then the winners will be announced at the end of the Live Auction on April 30th. You will find the election board at in Kakushi Pasu. You simply choose the box by the image of the candidate YOU want to support … and start buying votes! Don’t delay! Remember our motto – Vote Early, Vote Often! That drowns the tender reed. That leaves your soul to bleed. That never takes the chance. A secret place between times where the old becomes reborn into the new. Majestic crumbling ruins dissolve into a sea of glorious foliage. A place where the lost energies of the past are converted into new life. Springs of life-giving water overflow. Flower petals and creative energy float on the breeze. This is the space between the exhale and the inhale. Full of hope and promise. Who once inhabited this town? Where and why did they go? Who created the multi-coloured oasis of luxury among the ruins? What danger interrupts the dawn chorus?